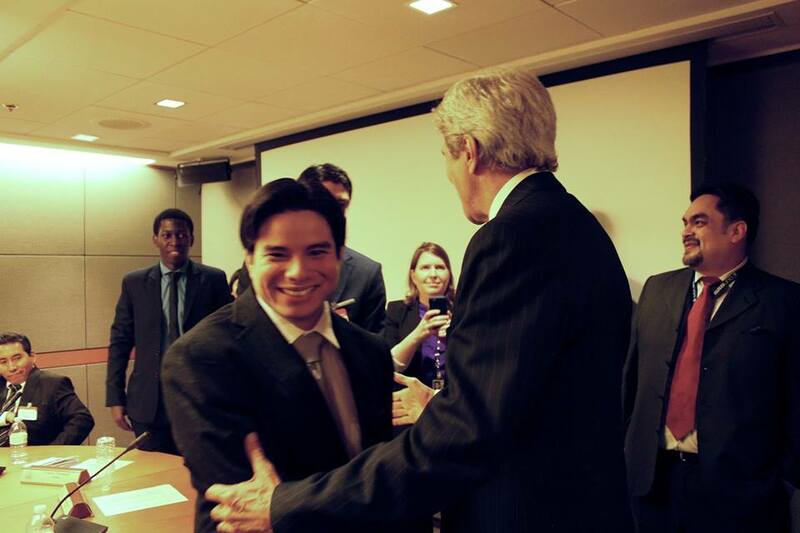 At center, U.S. Secretary of State John Kerry with YLAI Fellows. 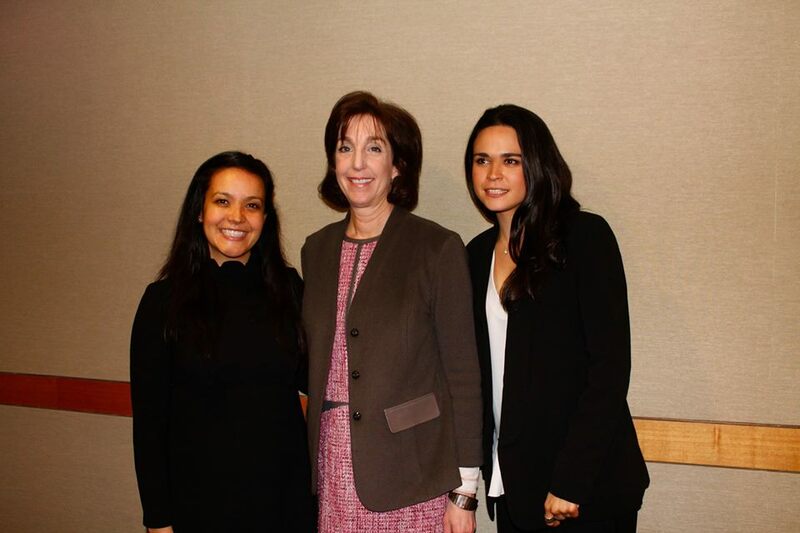 Right of Secretary Kerry is Assistant Secretary of State for Western Hemisphere Affairs Roberta S. Jacobson. 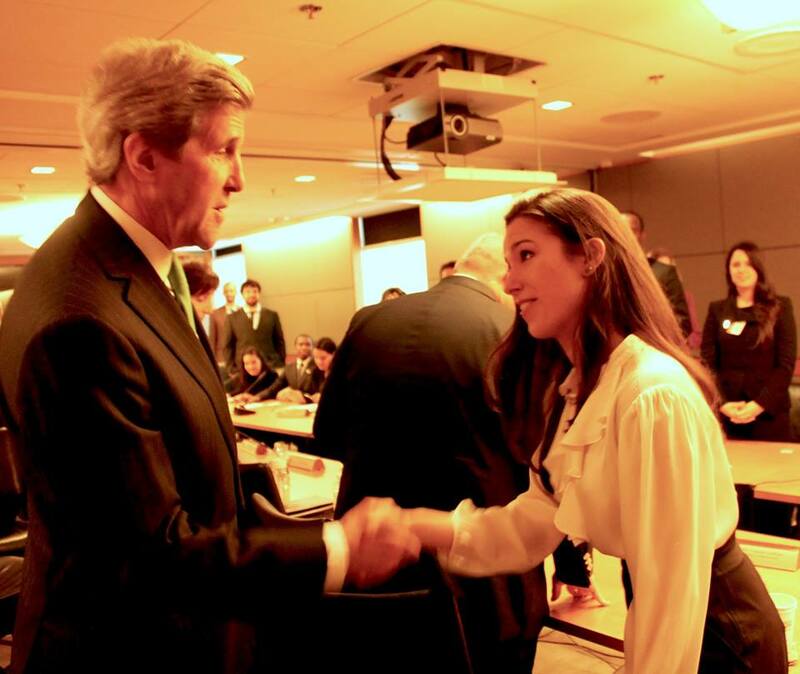 Left of Secretary Kerry is Ambassador Kristie Kenney who currently serves as the Counselor of the Department. 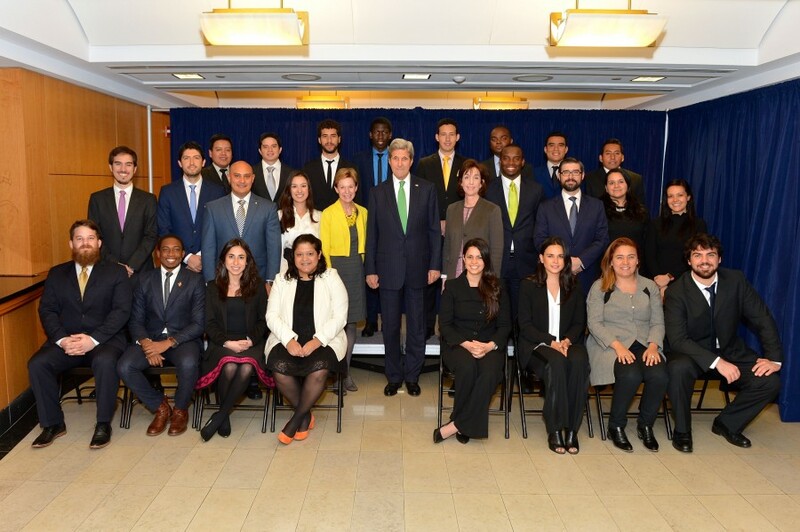 On Tuesday, March 15, 2016, 24 fellows of the Young Leaders of the Americas Initiative (YLAI) pilot program had the honor of meeting with U.S. Secretary of State John Kerry and Assistant Secretary of State for Western Hemisphere Affairs Roberta S. Jacobson. Following an official photo with senior State Department officials, the cohort had the unique opportunity to engage with Secretary Kerry directly. The fellows asked questions about the Administration’s perspectives on entrepreneurship in Latin America and the Caribbean, and shared their personal stories of the challenges and opportunities they tackle in their diverse communities. 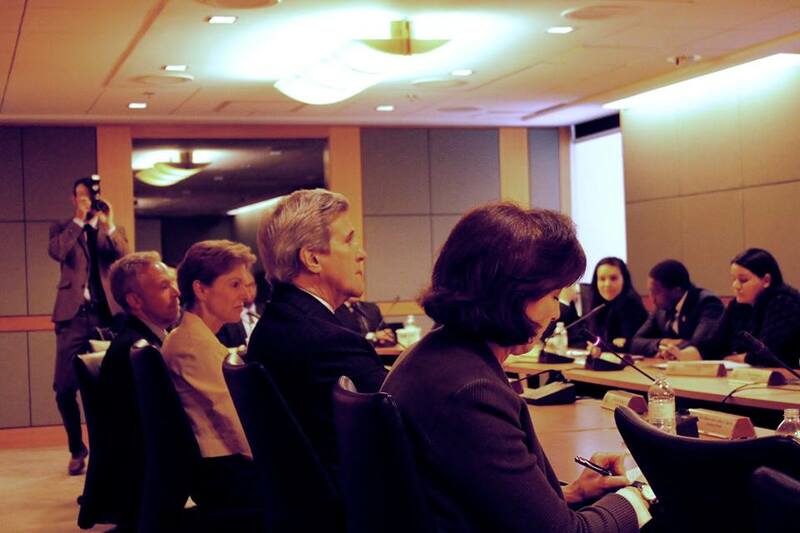 Secretary Kerry expressed the State Department’s great interest in continued engagement with the Fellows. 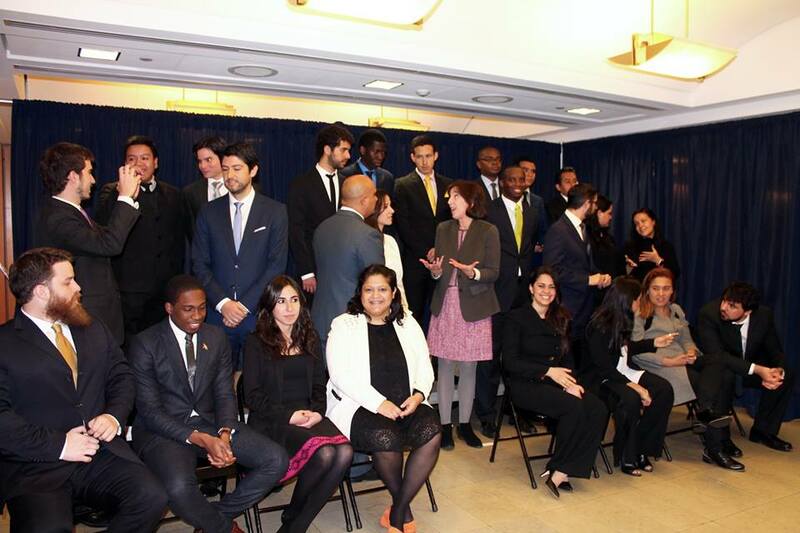 The Young Leaders of the Americas Initiative is an international exchange program sponsored by the U.S. Department of State and implemented by Meridian International Center. The pilot program, funded by the Bureau of Western Hemisphere Affairs, focused on the themes of developing entrepreneurial skills and enhancing economic opportunities for 24 young tech entrepreneurs from across Latin America and the Caribbean. This program is supported by First Data.